They prep. They plan. They put up with your kids. The holiday host/hostess is an unofficial saint. Say thank you with our list of gifts for the obliging entertainer. Ask our staff to help you find these items today! ICYMI October 26 Homespun – no tricks, just treats over here! 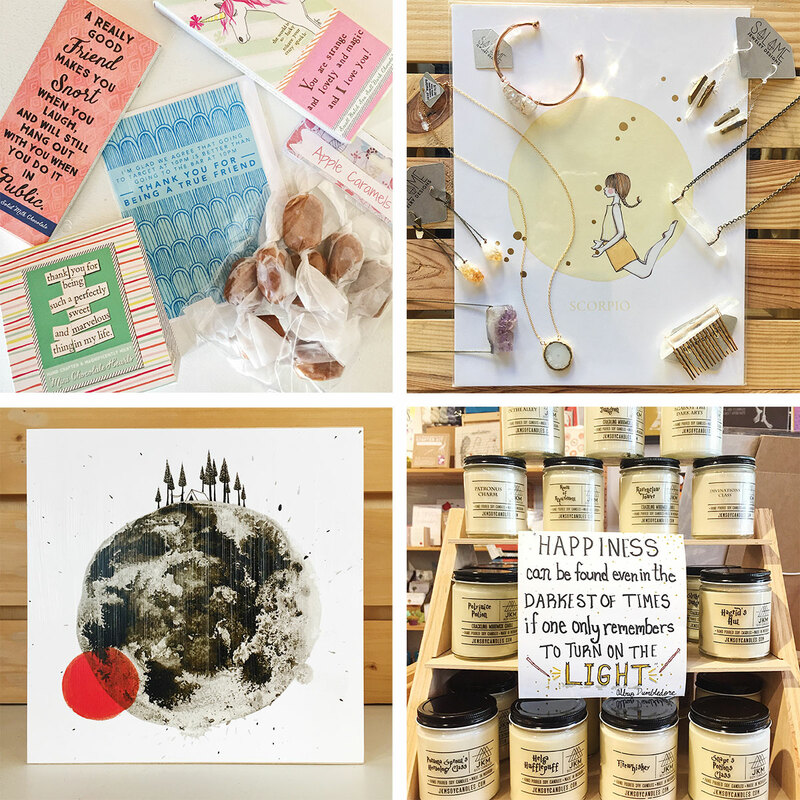 Thank you Indianapolis Monthly for naming us a “go-to Gift Shop” in the recent Shops issue! 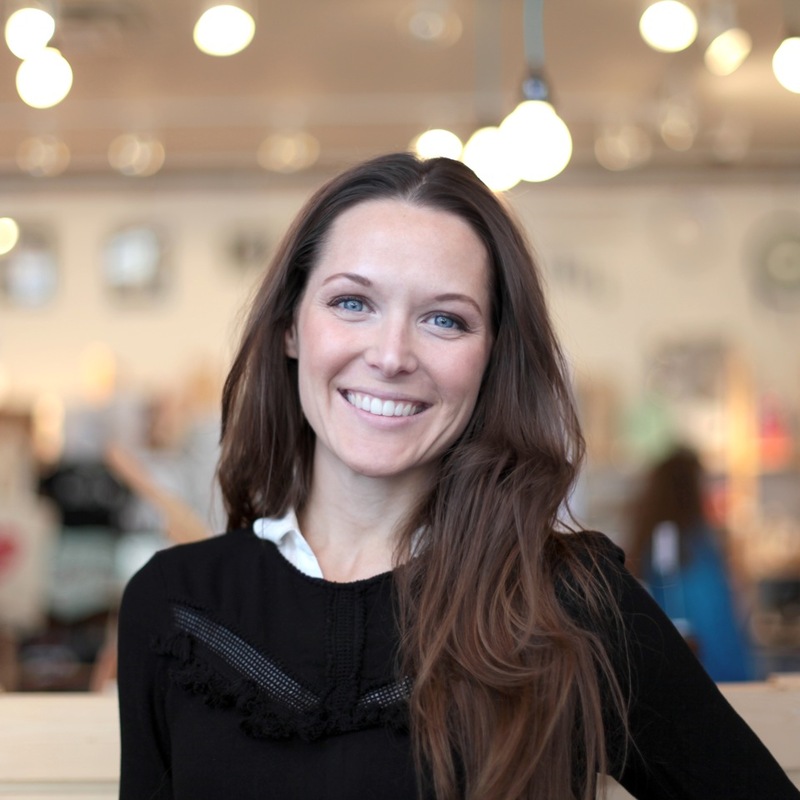 We are so thrilled to be featured! 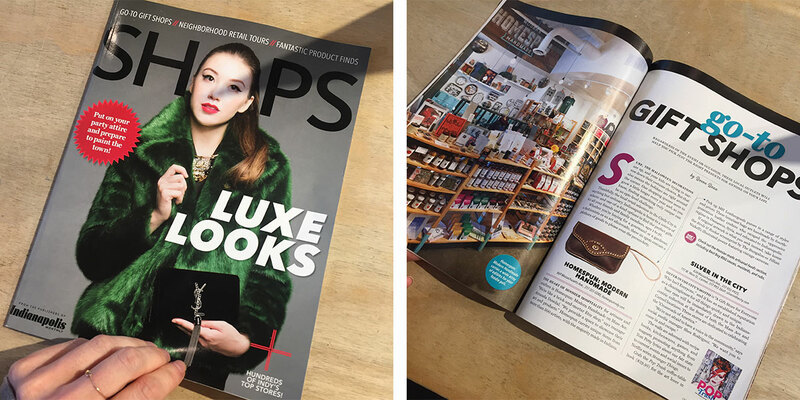 Pick up an issue soon and check out all the wonderful spots for your holiday shopping! 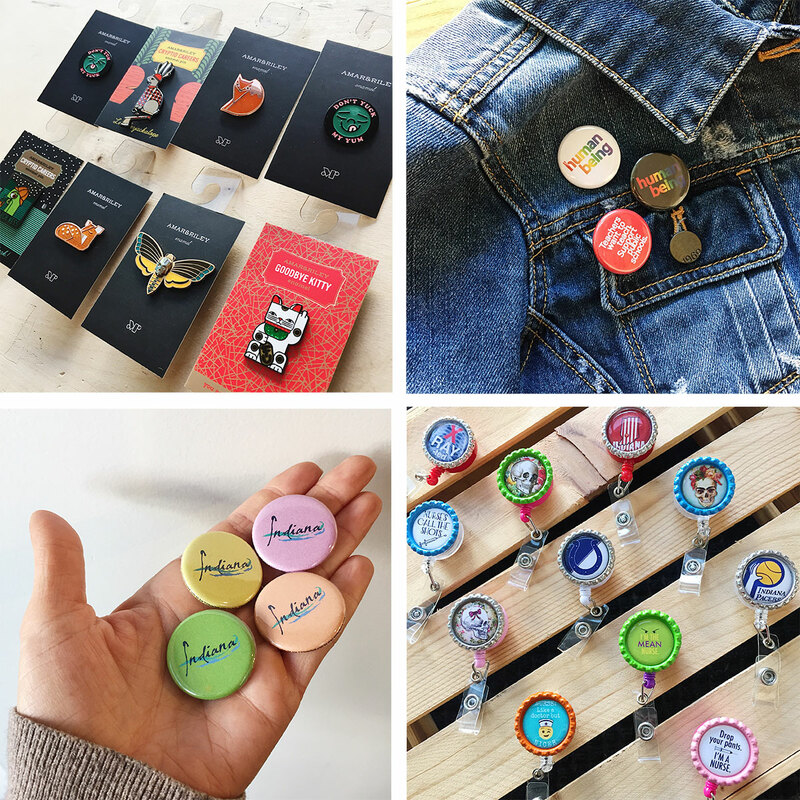 From Indiana La Croix inspired pins to the coolest badge clips you’ll ever see, we are definitely your one-stop shop for all things flair. Your jean jacket will thank you later. Recently restocked, Best Boy and Batch No. 2 have our mouths watering. 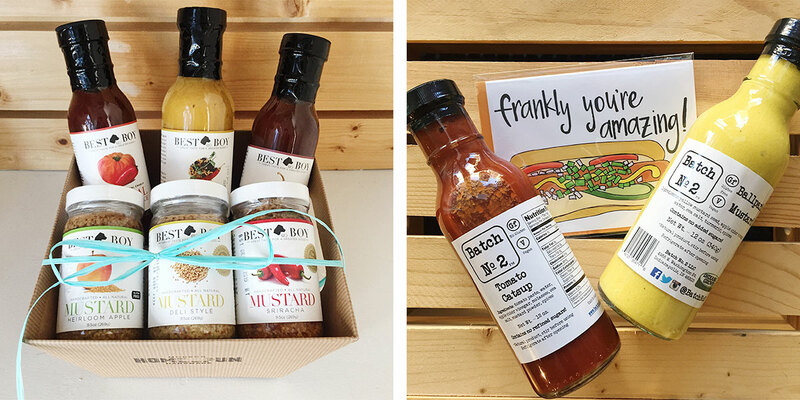 Put together a gift sampler for dad this holiday season with a mix of barbecue sauces and award-winning mustards from Best Boy! Planning a late fall cookout? Traditional Catsup and Ballpark Mustards from Batch No. 2 are a local necessity. Find them in store today! As the holiday season approaches, our shelves fill up and our door chime rings all day! 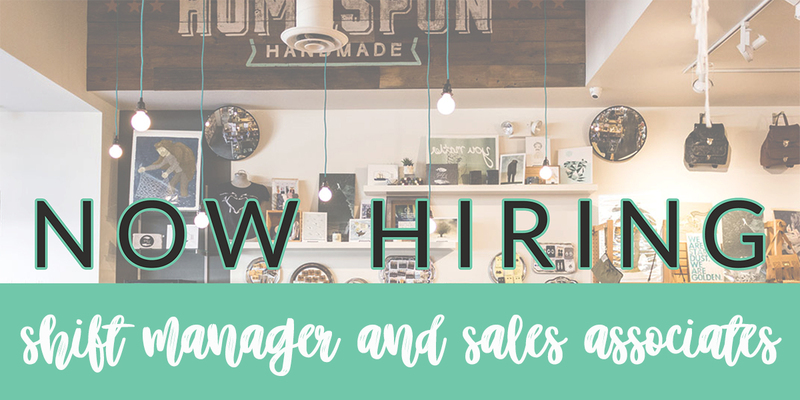 Stop in to preview the new and recently restocked vendors we have in store! From artisanal chocolates, caramels, Frittle, and candied pecans, you can get something sweet for that friend that always has your back. Or, if you have a Scorpio in your life, pick up something sparkly from Salame Jewelry Designs. 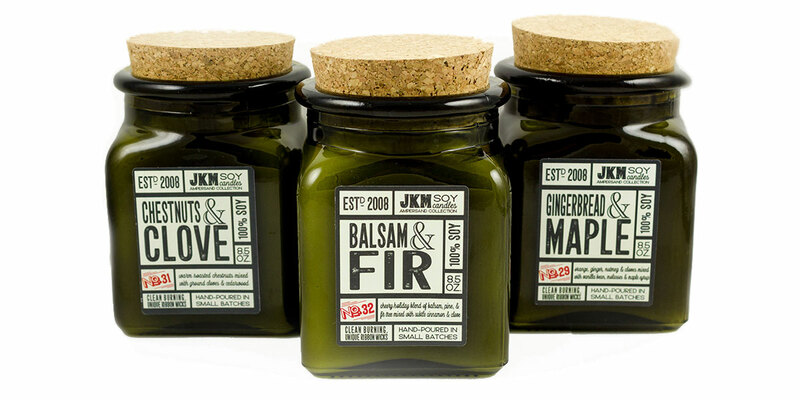 For the Harry Potter fan, you can’t go wrong with wizarding world candles from JKM Soy. And for the art collector, we are obsessed with the work of Melissa Moss (bottom left image). 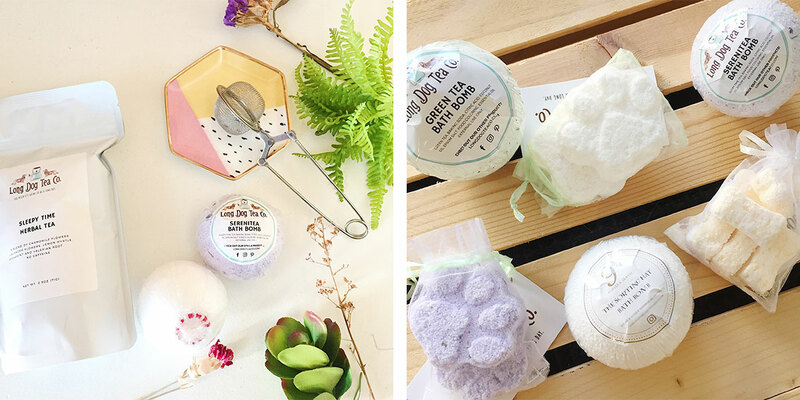 Inspired by their dachshund doggies, Long Dog Tea Co. (locally) creates various tea blends and bath bombs -in the shape of paw prints and dog bones, of course. You can also find their Harry Potter inspired “Sorting Hat Bath Bomb,” which changes color according to your Hogwarts House. What a stocking stuffer! From badkneesTs, that is. Recently restocked with full size runs and new designs, come get them before they’re gone again! —Mass Ave Monster Mash, Sunday, October 28 4pm – 6pm! Bring your little ones out and trick-or-treat at the shops on Mass Ave! More info here. —First Friday: featuring the artwork of Christina Hollering, Friday November 2, 6pm-8pm in store. We’ll have treats and refreshments available during this opening reception! —Workshop: Napkin Rings & Rosé: Low Relief Carving, Saturday, November 10, 1pm-3pm. You can still get tickets here! —MASS AVE MIDNIGHT SHOPPER! Friday, November 16. We’re open until midnight so you can get a jump start on your holiday shopping! —Thanksgiving Day, Thursday, November 22. STORE CLOSED! We reopen Friday, November 23, with normal business hours. — SMALL BUSINESS SATURDAY! 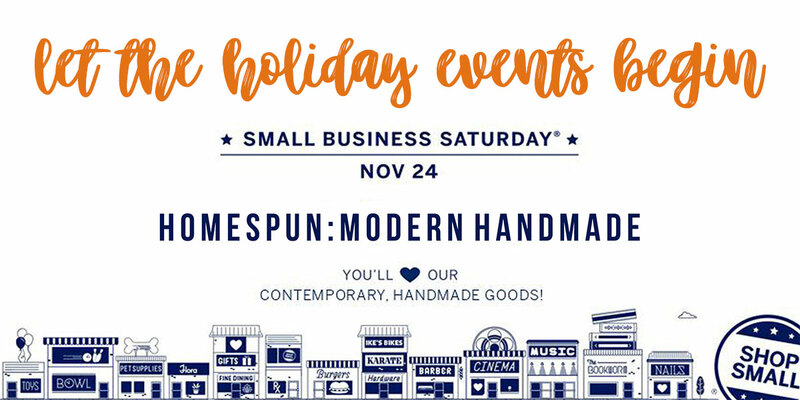 Saturday, November 24, 9am – 10pm! Put your money where your house is and shop small with us this year! This day is so important to small businesses like us and it’s customers like you who keep us alive in the neighborhood! We give out swag bags full of goodies and coupons to the fist 10 customers in line outside of our store at 9am! —Giving Tuesday, Tuesday, November 27, 10am-8pm. Give back with us this holiday season. 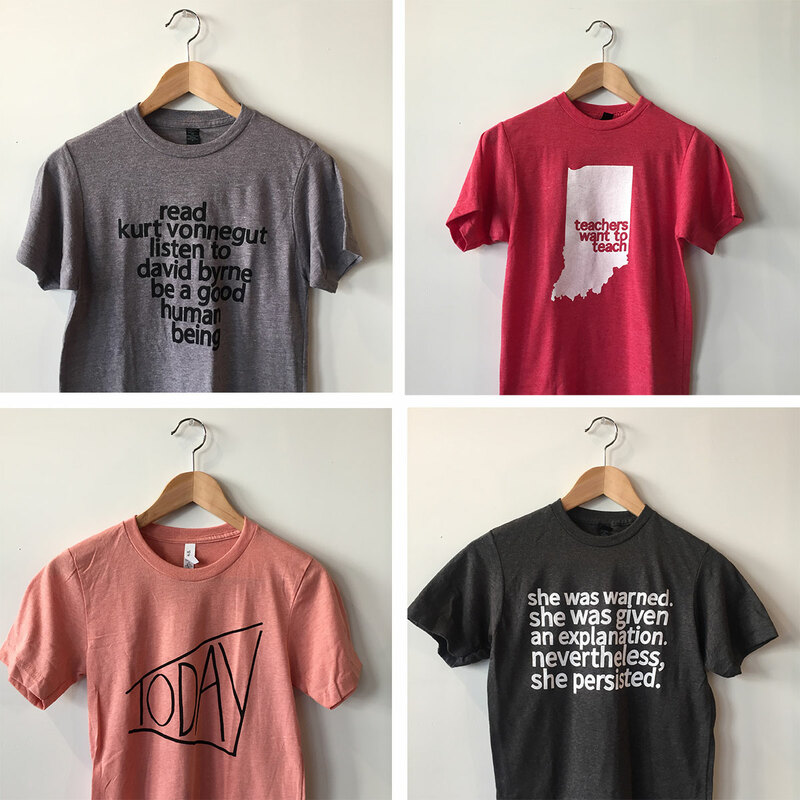 We donate 10% of our sales this day to Coburn Place and Project Home Indy. We look forward to seeing you during Mass Ave Monster Mash this Sunday! ICYMI October 19 – it’s been a minute since we’ve updated you! And boy do we have a lot to show you! -Just in time to start those holiday shopping lists, I might add. Wink. Wink. 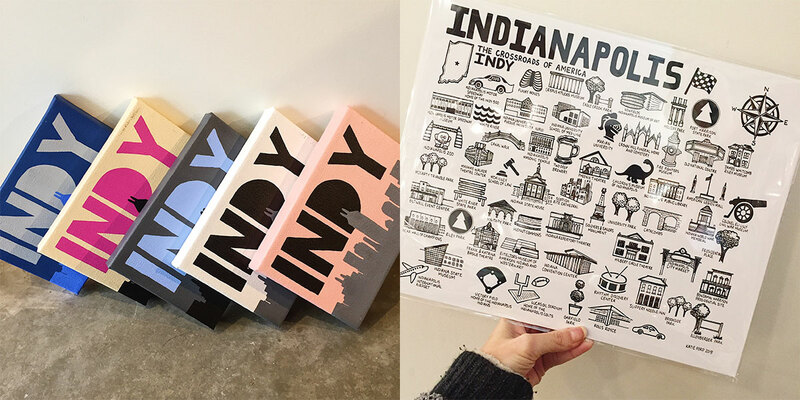 New from popular maker, Fiber and Gloss, Indianapolis monument prints and skyline canvases are back! Come get some Indy on your walls! Unfortunately, not all these adorable clothes come in your size too. But, you can find the Hall & Oates inspired tees in adult and youth sizes -phew! 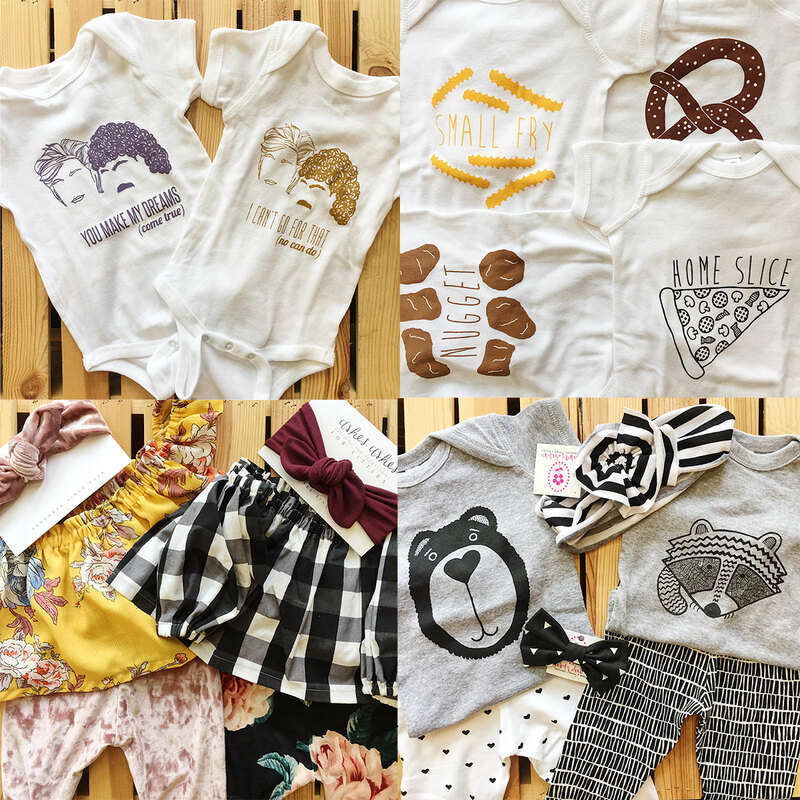 Get baby some comfy and fashionable ensembles for the holiday season with restocks from Exit343 Designs and Ashes & Ashes. Mom and the little tot will both be happy. 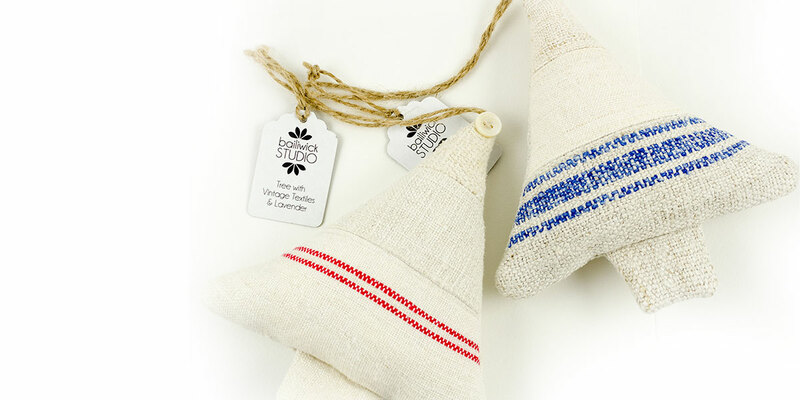 And remember – we offer free gift wrap in store! 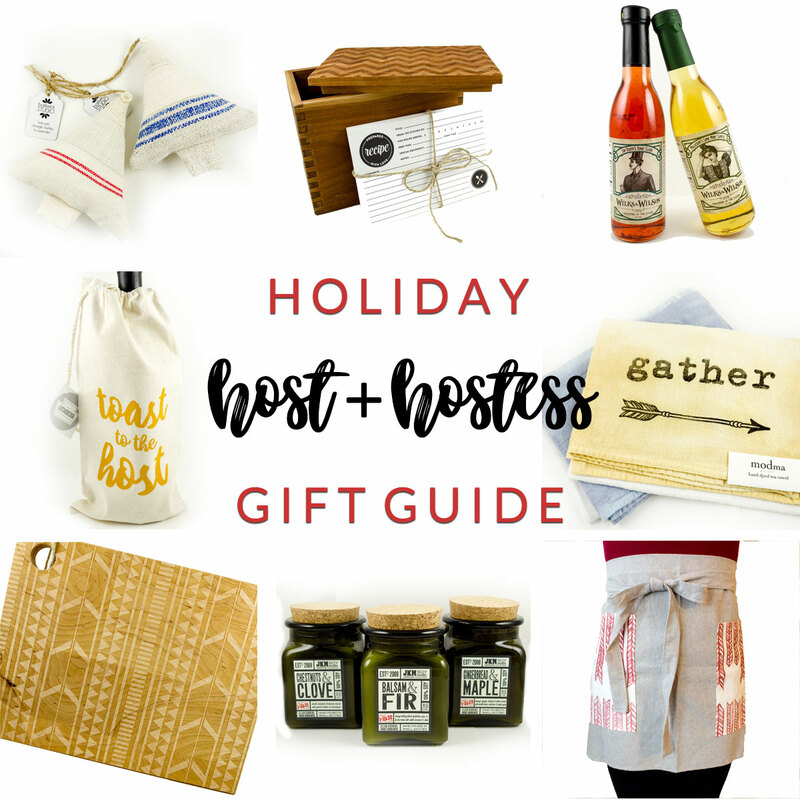 We weren’t joking about getting those holiday gift lists ready! 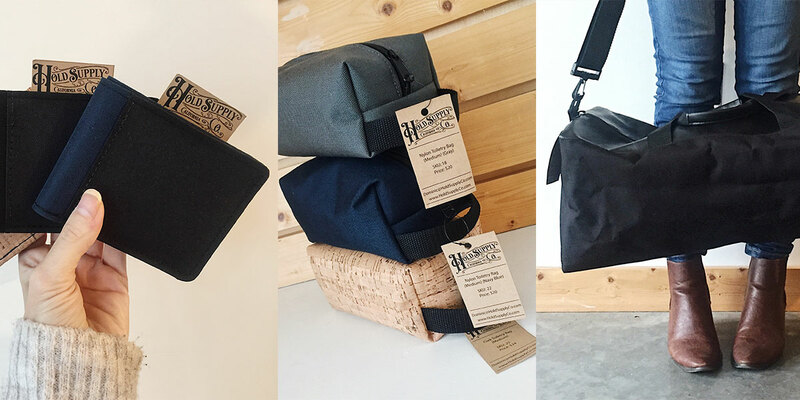 From wallets to dopp kits to duffels and more, new vendor Hold Supply Co. is a haven for all things him. Or her. Or you. We’re loving the neutral pallet! 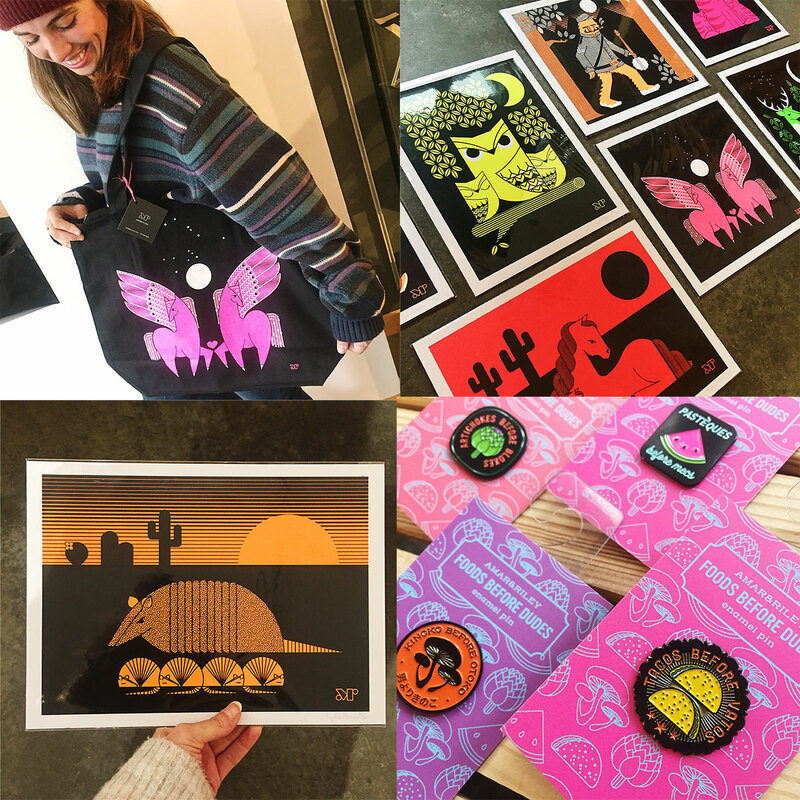 Another new maker, Amar & Riley, brings high contrast prints and fun enamel pins to our growing arsenal of artists. And score one of their tote bags before they’re gone! As you can see above, they’re already very popular with our staff. 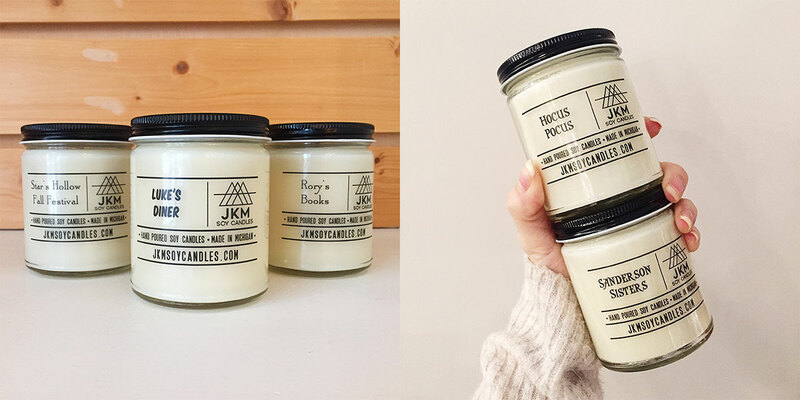 JKM Soy Candles continues to deliver! An expanded offering of Gilmore Girls, Hocus Pocus, and Harry Potter candles can be found on our shelves. -Perfect staples for your fall binge-watching, just add popcorn. 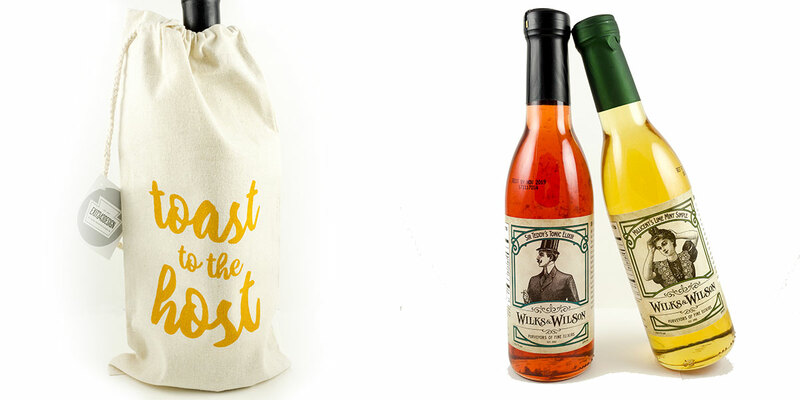 Because, after 30, all you really want is a bottle of wine/whiskey and take out. 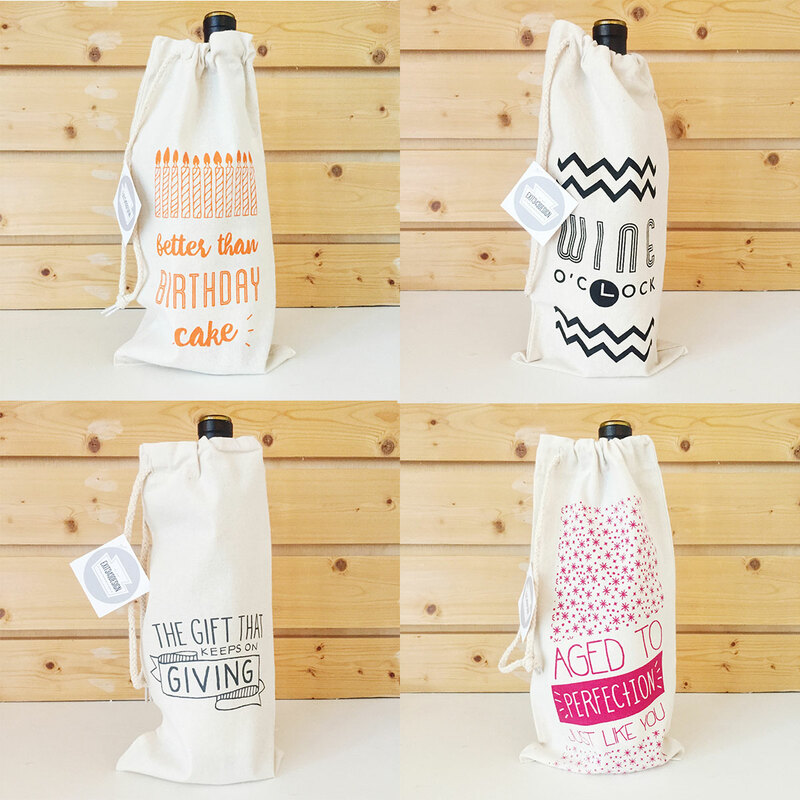 New booze bag designs from Exit343 are in store in our party section! Shop them all today! We look forward to seeing you at our upcoming events (and shopping in store too)! Have a happy, handmade weekend!